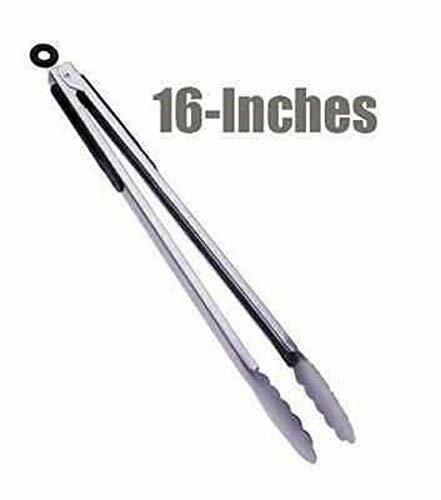 Product prices and availability are accurate as of 2019-04-24 12:54:11 CDT and are subject to change. Any price and availability information displayed on http://www.amazon.com/ at the time of purchase will apply to the purchase of this product. 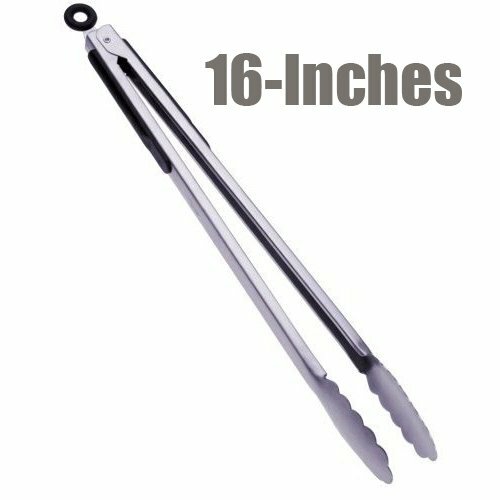 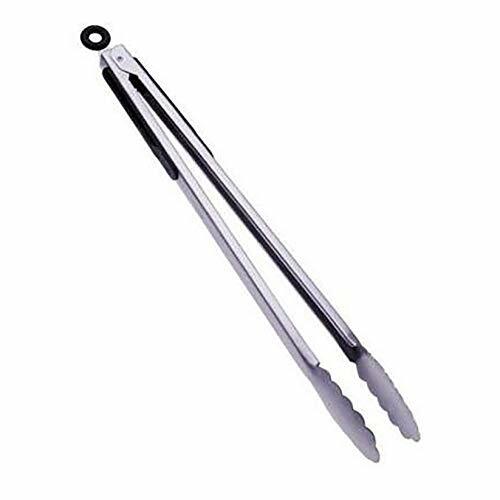 This extra-long tongs is the answer for better serving, grilling and turning food while keeping your hand at a comfortable safe distance. 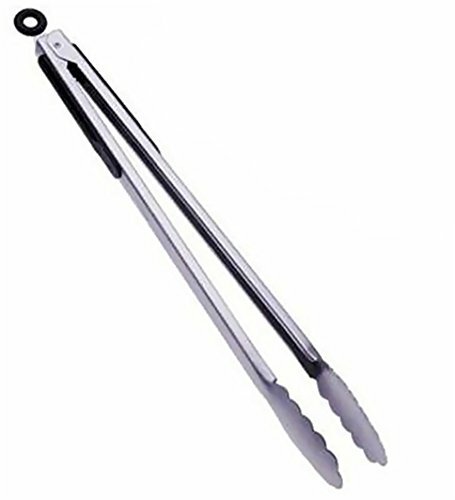 This tong is made from durable stainless steel with the plastic-rubber handles for cool-touch handling and comfortable secure thumb grip handling, and also features a locking mechanism for closed safe spacing storage, with a convenient hanging loop.